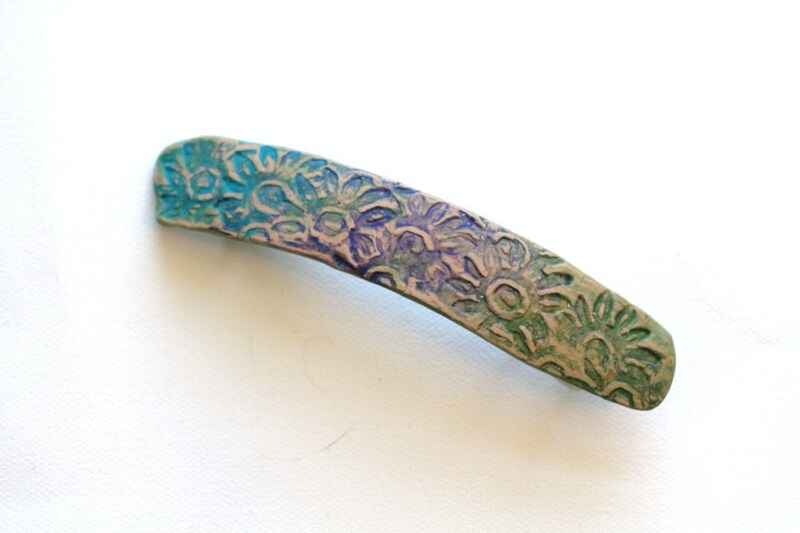 Boho, Gypsy, Hippie Chic, Handpainted and carved hair barrette. This is a new technique that I am working with. 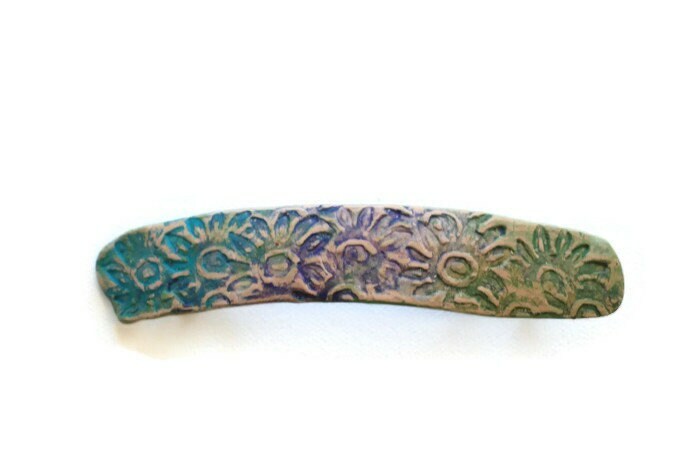 The polymer clay is molded and then carved with different patterns. The clay is baked and cured, and then layers of acrylic paints are brushed, rubbed and sponged to achieve a multi-dimensional effect. The colors are rich jewel, vegetable brights over a black base. 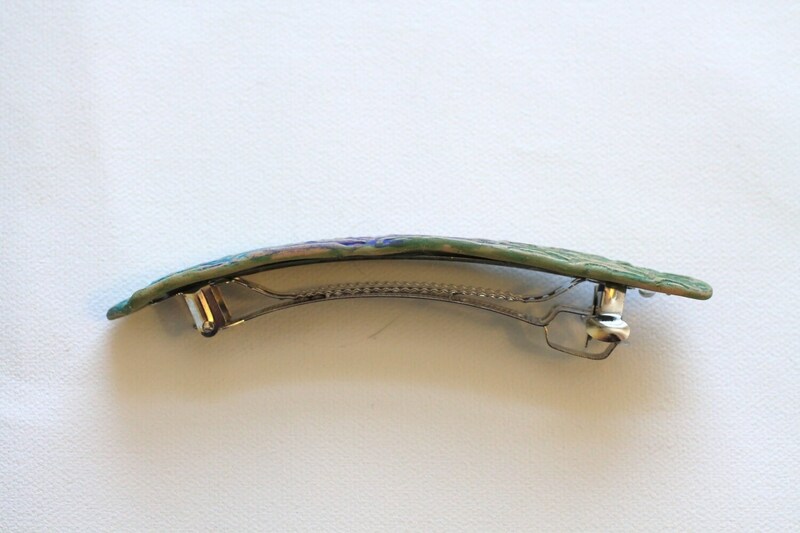 This is a large size Nickel Free French barrette back that will hold most ponytails.